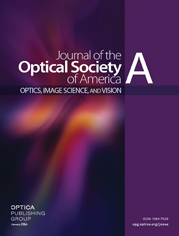 The interaction between dot separation and fusible disparity limits (critical disparity gradient) was assessed at 0, 2, 4, and 8 deg eccentricity by 19 subjects. The critical disparity gradient showed a significant decrease with eccentricity such that larger separations were required for fusion of a given disparity as eccentricity increased. An argument is put forth that this relationship supports a size–disparity correlation. The significant disparity–eccentricity interaction may be explained by both the progressive loss of higher-spatial-frequency channels with eccentricity and a reduction in the range of disparities processed by a channel as eccentricity is increased. Individual differences in the trend across eccentricity are noted and discussed.